One of the marvels of the Church of Jesus Christ is the inherent mechanism the Church has to correct and be corrected whenever we stray from truth and stray from practicing that which ought to be our primary focus. The cry of the Reformers was Semper Reformanda, which simply means always reforming. It is as if the Designer of the “software” that the church runs on (church doctrine) wrote into the code of the software an autocorrect feature which keeps the “hardware” (church practice) from going haywire. And that is the case indeed. It is this ability to correct and be corrected that sets the Church of Jesus Christ apart from any other religious organization on earth, making it a living organism. Throughout Church History, there are many corrections and reforms that the Church has gone through, each one being rightly met with truth. But often, when an error is on the horizon, it can be detected early, dealt with, and people be warned even before it swallows up individuals, congregations, and entire denominations. The following is a probable new error on the horizon of broader Evangelicalism. Movements such as the Social-Justice Gospel, the Prosperity Gospel, the Positivity Gospel, the Seeker Sensitive Gospel, and such like movements are distortions of the true Gospel. They emerge when people make the peripheral benefits of the Gospel the central focus and push the central focus—salvation from sin and God’s wrath through Jesus Christ’s work on the cross—to the periphery. There’s a new error in doctrine that is developing within the Church, which, much like these other ones has formed because that which should be peripheral is being pulled to the center. This newer error is developing within the Church because of external cultural elements that have crept into the Church. In fact, I think it would be more proper to call this newer error a practice rather than a doctrine per se. But its emergence and practice do show that doctrine is at fault somewhere within the Church. I should like to call this the “Millennials Gospel”. Now an error is an error irrespective of who or how many people commit it, but I call this a “probable error” because you or your church may not have committed it. You will probably commit it someday if you are unaware and do not pay heed to the warnings. While it is a probable error, let me humbly say that it is also a pernicious error. Yes, pernicious. Let me explain the Millennials Gospel and show why it is a pernicious error. 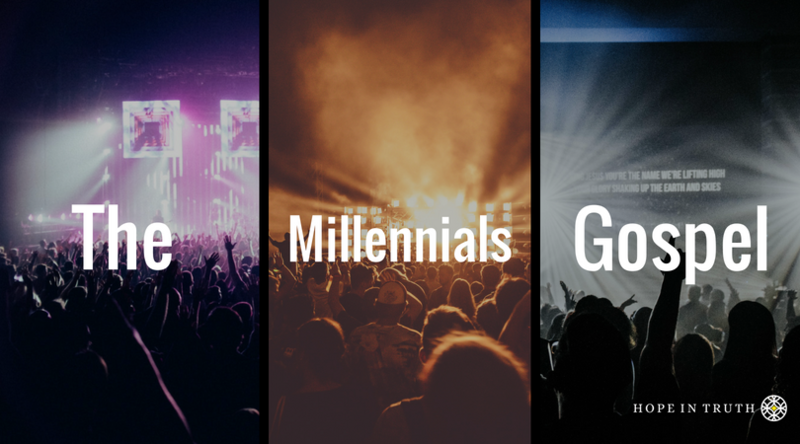 The essence of the Millennials Gospel is that the Church, or churches today, should focus on reaching millennials using certain means either because millennials are leaving the Church, or because certain churches skew much older as there is no fresh infusion of millennials. There are polls conducted by research firms such as Barna, Pew, and others that show that millennials are leaving the church. Therefore, the reasoning goes, we need to do all we can to bring them back. As a consequence of this thinking, you find there being a push in the Church toward practices like, just for example: more contemporary styles of music, more casual dressing and a laidback atmosphere, having younger preachers (whether substantive and anointed or not, does not seem to be the concern, but young), change of terms and language for the sake of reflecting millennial lingo, a push for the use of more social media and media in general, an excess of entertainment and amusement etc. Now please hear me. these are all good things in and of themselves. There is nothing inherently wrong. What’s wrong however, is assuming that using these millennial “hooks” will draw the fish into the net of the Church and win them to Christ. Simply because we know what millennials like and want and proceed to use these methods and practices does not guarantee that we will successfully attract them to Christ and keep them in the Church. Further, what’s wrong is that church practice today­—particularly the practice of attracting and inviting millennials—is being formulated based on statistics. Practice should be primarily based on doctrine, not statistics, which are prone to change with the wind. Orthodoxy should formulate orthopraxy. More on this later, but first a note on statistics and what a heavy reliance on statistics has done for church practice. Since statistics and the statistician’s red laser pointer have been the driving factors behind many new church movements, we see a one-slice-of-the-pie Gospel emerging, especially in this obsession with millennials. Statisticians love to show us pies. Wowed by numbers and the hunger to count and increase numbers, we have zoomed in on one slice of the pie, the millennials, at the exclusion of the rest of the pie. But have you ever seen a pie of another sort, an individual piece of confectionary pie, baked all by itself? Why, it couldn’t be! None of the stuffing would hold together, and the crust would crumble without the rest of the pie to hold it together. The whole pie must be baked together for the individual pieces to be cut well and enjoyed by all. Now someone may quip, “But I have seen molds that allow you to bake individual pieces of pie, and therefore it is possible to bake just those single pieces.” Maybe so. Yet the production of individual piece pie molds only proves that we have become highly individualistic, and that we are neglecting the whole pie. Like trying to bake an individual piece of pie all by itself, at the exclusion of the rest of the whole, the Millennials Gospel is a one-slice-of-the-pie type of Gospel. 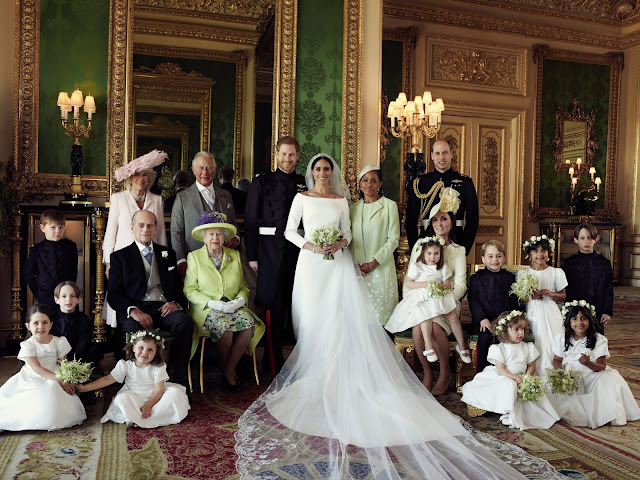 It focusses only on one demographic, the millennials, while either ignoring or paying less attention to the others. What about the Baby Boomers? What about the octogenarians? What about small children? What about all the people from other countries in our churches who have little or no reference point to understand the practices and preferences of American millennials? What about the poor, and sick, and demon possessed, and ignorant? They came to hear Jesus when he preached and began to build His Church on earth. Aren't these demographics that matter too? Should they not be part of the pie? Are you beginning to see how this error could possibly be a pernicious error? There is a problem with this new, probable, and pernicious Millennials Gospel. The problem lies in the erroneous assumption about the results. What guarantees that this focus on drawing millennials back into the Church using millennial bait will work? How do we know that just because we give millennials their preferences that they will all return? How do we know that the numbers in our churches will go up simply because millennials return? There is much reason to doubt that millennials who bite the baited hook will stay just because they have entered the portals of your church. So, let us assume that a church is highly successful in attracting millennials, and that the church grows exponentially by using millennial means. Who’s to say that these millennials who are uncertain, diverse, fluid, searching, and tinkering, will not leave at any given opportunity? If you attract them using their own means, which by nature lack in commitment and consistency, is there not a chance that you will lose them by the same means? So that because of their lack of commitment and consistency they leave your church for whatever reason, and avail of the next best option that comes their way? Instead of attracting millennials using what they are already used to, which breeds a lack of commitment, what we need instead is to be taught commitment and consistency. What millennials need then is love, and examples of how to love, not just ourselves, but God and other people. And always, this love must be undergirded by the truth. There is therefore another way to attract millennials. I wrote above that practice should be primarily based on doctrine, not statistics, which are prone to change with the wind. Orthodoxy should formulate orthopraxy. I also said that the means being used to attract millennials are not wrong per se, but that assuming the means will bless the ends and confer success is wrong headed. We learn an all too important lesson in doctrine which leads to right practice from Luke 5, when the disciples of Christ were fishing all night and caught nothing. They used all the means possible to attract the fish. But these seasoned fishermen who were accustomed to catching a great haul were unsuccessful. Why? Let a preacher of yesteryear who knew how to attract people by the thousands—of all ages and stages of life—answer that question. What Charles Spurgeon writes here did not apply only to he and his church. It also applies to us today. Are we seeking the very presence of Christ in our churches above the presence of millennials? If millennials will not come and do not want to come to a Church where Christ is present, then don’t try to attract them. But millennials do need and want to be where Christ is present. If we want to attract millennials and all people, let us be about the business of lifting Christ up in our preaching and in our practices. Let us preach and administrate in the power, and under the anointing of the Holy Spirit. And Christ promises that He will draw all to Himself (John 12:32). When Christ is lifted up in the power of the Spirit, we cannot help but attract all people because the Gospel is not just one for one demographic such as the millennials. Therefore, when we truly lift up Christ, we will not pander to one piece of the pie, having to come up with means that attract solely that piece. God will bring all people if we have the lifting up of Christ at the center of our Gospel. Such a revival is badly needed once again in the broader Evangelical Church. May God grant it, for His glory! Wuthnow, Robert. After the Baby Boomers: How Twenty—and—Thirty—Somethings are Shaping the Future of American Religion. Princeton: Princeton University Press, 2010. xvi-xvii. 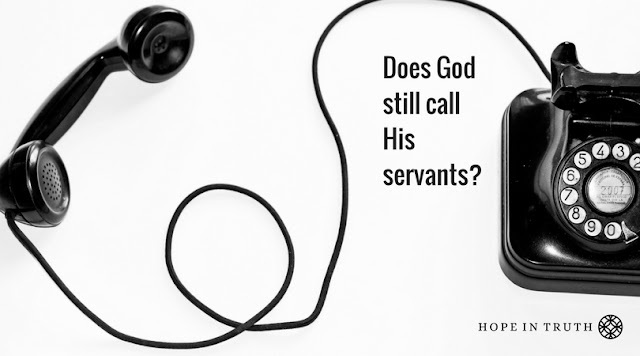 Does God Still Call His Servants?